'The cloud' is a buzzword that is used quite frequently, but it isn't always entirely clear what cloud computing really means or what advantages it may have to offer over non-cloud computing. Cloud computing, in the broadest sense, is any sort of computing that would involve the storage, access, management or processing of data via the Internet. 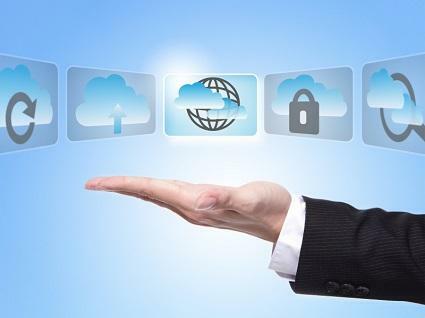 The term originates from the use of the cloud as a symbol for the Internet in flowcharts and business presentations. This cloud would then connect simultaneously to all the different computers that needed access to its data or processing capabilities. Under a conventional model of computing, your desktop or laptop PC is a self-enclosed computer. It contains all of the core components that it needs to perform its various tasks, like a central processing unit (CPU) and a hard drive. With this kind of configuration, all of the software is installed and runs locally. This is called local storage and local computing. Traditional computer software that falls under this model may include Microsoft Office and Windows Media Player. The Excel spreadsheet, for instance, is stored locally, the Excel program is installed locally, and all of the computations are also done locally. By contrast, cloud computing allows your computer or other connected device to tap into a network of remote servers ('the cloud') hosted elsewhere to perform various computing tasks. This could include saving your data on a network-attached storage (NAS) device rather than having your files save directly to your local hard drive. It could also include the management and processing of data via these remote servers rather than your local computer. Today, the most common cloud used in cloud computing is the Internet, though companies can also utilize intranet technology for a similar purpose. Given the broad definition and application of cloud computing technology, many types of cloud computing are used. Some are offered as free services or have free versions, whereas others generally charge a monthly user fee depending on usage level. One of the most common forms of using the cloud is with web-based email services. Traditionally, email would be handled with local software like Mozilla Thunderbird or Microsoft Outlook. This software was installed directly on the hard drive of your computer and all the messages would be then downloaded directly to your hard drive as well. Web-based email services, like Gmail and Outlook.com, allow a browser-based interface instead. The actual storage and management of your e-mail messages is handled on the remote servers of companies like Yahoo, Google and Microsoft. It is common to find word processors, spreadsheet software and presentation software installed locally on work computers. Common examples include Microsoft Office and Apache's OpenOffice. However, there are also a number of browser-based office suites that provide the same kind of functionality without the need for a local installation. From within a web browser, it is possible to create a spreadsheet, enter data and formulas in the cells, and generate bar graphs and line charts, saving all of that data to the cloud to be shared with colleagues. Google Drive is one of the more popular examples of this, which evolved from Google Documents. There are two major limitations to local storage. Your internal hard drive only has so much capacity, so as soon as it is full, you need to invest in more storage. Secondly, the files on your computer are typically accessible only when you are on that particular machine. Cloud storage services like Dropbox overcome these hurdles by storing your data on remote servers. This way, your files are accessible from anywhere you have an active Internet connection, not only on computers, but also on smartphones and tablets. In some ways, photo sharing sites like Flickr and video sharing sites like Vimeo serve a similar purpose, as the pictures and videos that you upload to those sites can be readily accessible online too, all without having to be at your main computer where the original files were saved. Many companies have an internal infrastructure wherein each employee's computer installs software that connects to a central database on the intranet. This software could be used for shared calendars or contact lists, for instance. Cloud computing solutions like Salesforce can replace those software packages. A customer relationship management (CRM) suite like Salesforce is sold in a manner called software as a service (SaaS). What this means is that the software and data are hosted on the Salesforce servers, rather than being saved on the local computers at the company's office. All of the data processing is similarly handled by the Salesforce servers and workers simply access this data via a web browser. Companies pay a monthly fee for this service, instead of paying an outright purchase price for the software and storage. Is the Cloud Always Better? There are both advantages and disadvantages to cloud computing solutions for individuals and businesses. Cloud computing adds a great deal of convenience, because it allows for ready access to your pertinent data anywhere you have an Internet connection. It is very scalable, as most cloud companies allow you to upgrade and downgrade your monthly plan as your needs increase and decrease, accordingly. You are not responsible for maintaining or upgrading any of the hardware or software components needed for cloud services, as those are handled by the providers. Cloud computing may run a bigger privacy and security risk than more traditional computing, which is a significant consideration for companies with highly confidential data where trust is incredibly important. It may be more challenging to migrate data to an alternative provider or an in-house solution for any reason. You may face downtime with the remote servers, rendering the service and data inaccessible for an indeterminate period of time. Depending on scale, cloud computing could also be more expensive than a more traditional setup. Cloud computing can represent a great opportunity for individuals and small businesses who desire better accessibility, more advanced features, and reduced information technology (IT) costs, but this is carefully balanced against the potential security risks and other concerns. The cloud may not always be better, but it can be.